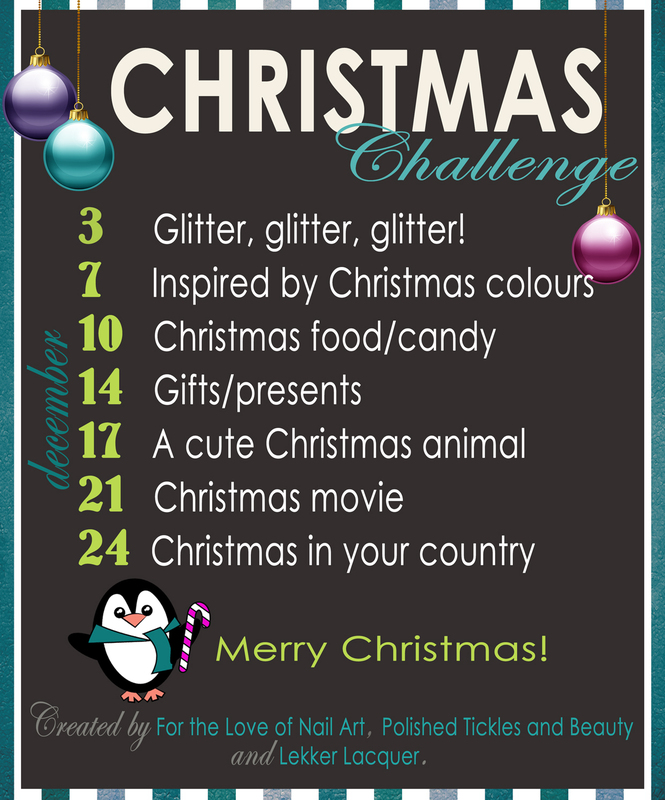 So its finally here, Day 1 of the Christmas Challenge. The theme: Glitter, Glitter, Glitter! 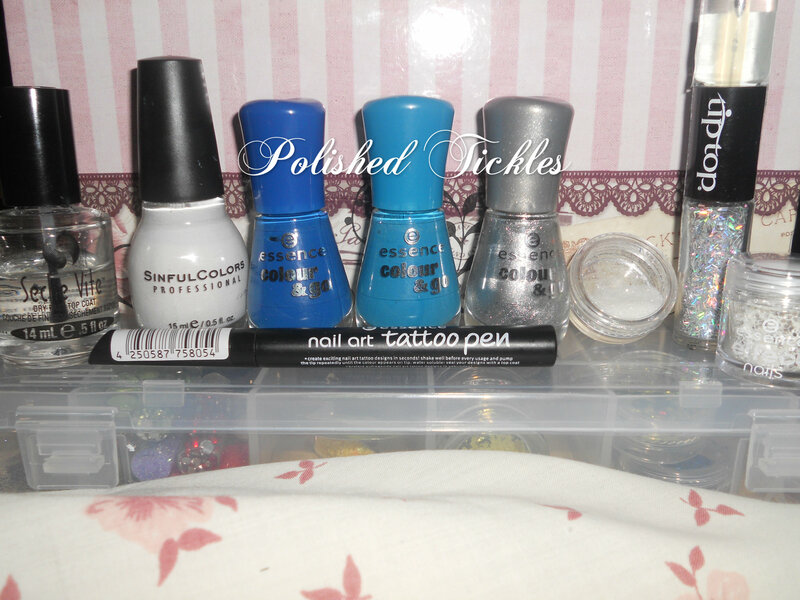 Essence Colour & Go in 141 Icy Princess, 128 Let’s Get Lost and 129 The Boy Next Door. And of course no mani is complete without Seche Vite!!! Thats loads of stuff for 1 mani but totally worth it! This is the first time I have tried a proper sponge gradient. When ever we order Pizza Take-outs we get all our extra’s like Chilli’s and such in little plastic containers. 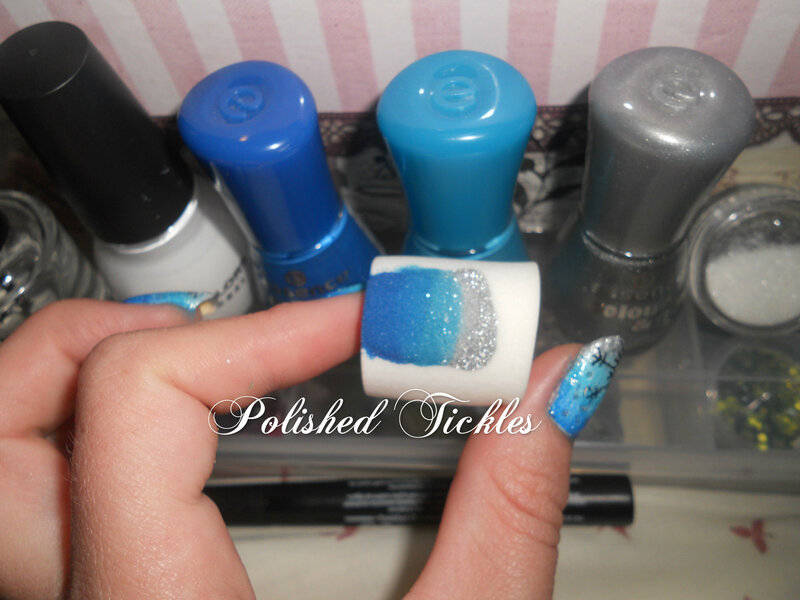 I keep mine and use them for various Nail Art storage options but one of my favs is as a glitter catcher! Just helps contain any mess because glitter sticks to everything! So thats it, first day down and so many more fun ones to come. Dont forget to share your links below. 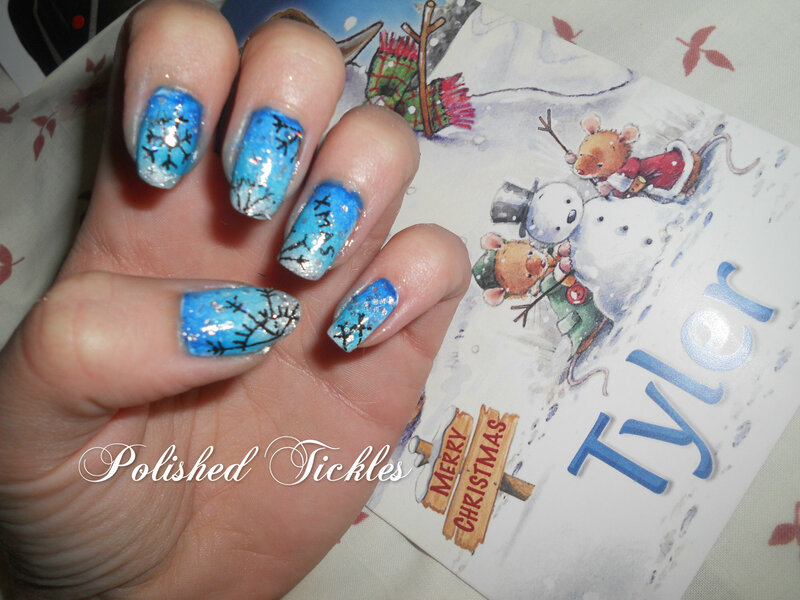 This entry was posted in Challenges, Christmas Challenge, Nail Art and tagged Blue, Born Pretty Store, Christmas Challenge, Essence, Glitter, Nail Art, Nail Polish, Sinful Colors, South Africa, special effects, swatches, White, Winter Hues. Bookmark the permalink. Thank You So much, was loads of fun. Thank you so much V, do yourself a fav and go get the Tattoo Pen (If you dont already have it) Its the best thing ever! 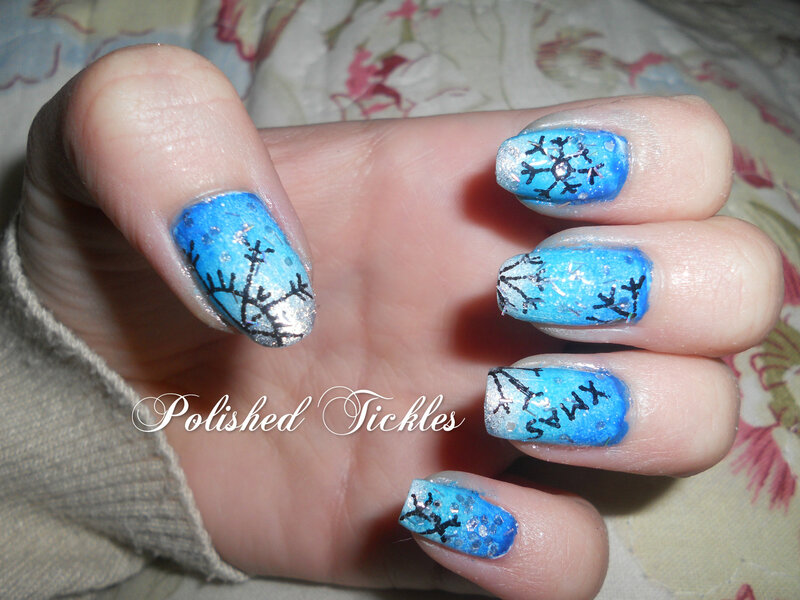 Oh yay, snowflakes and such a brilliant design!! Also, thank you, it’s 4am and I’m craving pizza SO BAD now.